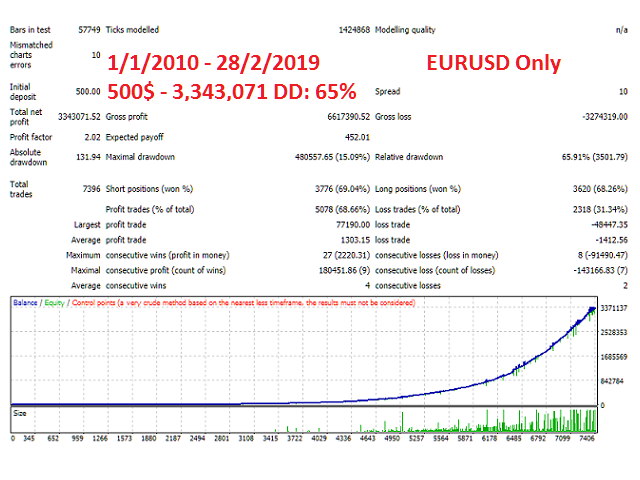 Broker: ECN Broker with low spread and commission. Settings: USE the Default Setting of the set file for each Pair. VPS: High Speed VPS is recommended. "The Pharaoh Secret" has been built to give you good amount of profitable trades everyday. It uses 5 different strategies with different options and filters that you can run simultaneously for 7 Pairs at the same time. It has been tested for the last 9 years with good profits each and every week/month. Simple breakout, When the price breaks the low of the previous day, we place Sell order. When the price breaks the high of the previous day, we place Buy order. For Buy: When the Parabolic dots become below the price, we wait till the price breaks the first candle, then we place a Buy order. For Sell: When the Parabolic dots become above the price, we wait till the price breaks the first candle, then we place a Sell order. For Buy: When the third White Heiken Ahsi breaks above the first candle and Stochostic (14,3,7) is below 28 level, we place Buy Order. For Sell: When the third Red Hiken Ashi breaks below the first candle and Stochostic (14,3,7) is above 72 level, we place Sell Order. for Buy: when RSI reaches the Buy level when it is oversold. for Sell: when RSI reaches the Sell level when it is overbought. 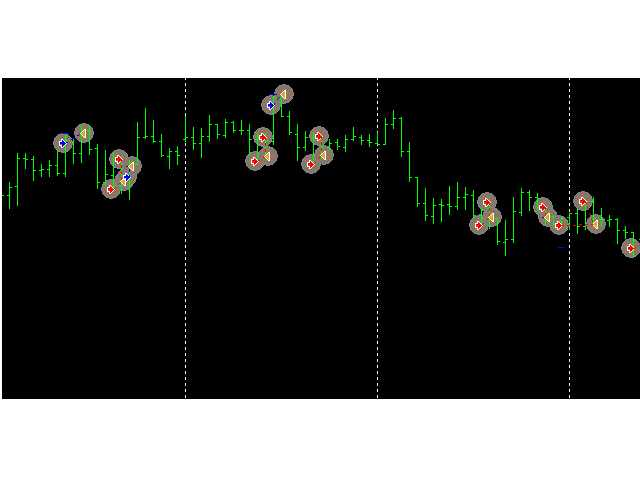 for sell: when Stochastic reaches the sell level when it is overbought. Plus some other filters the help to make a good entry for each strategy. Please if you have any question, contact me.